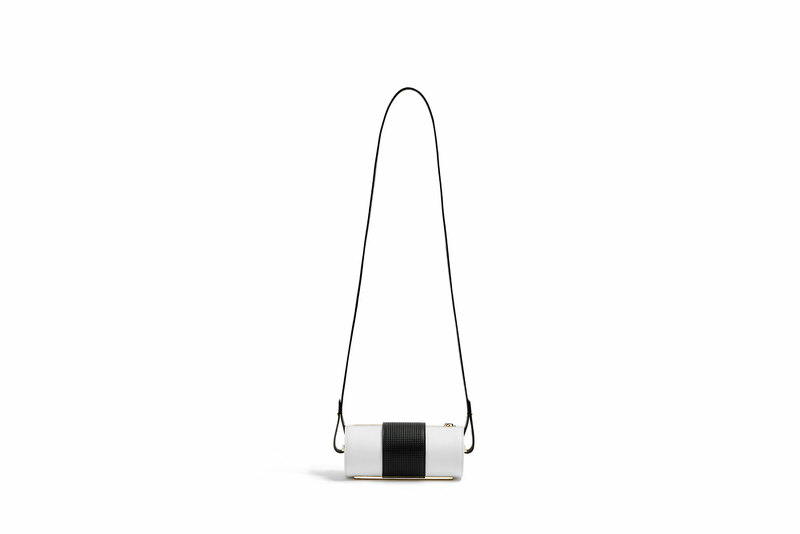 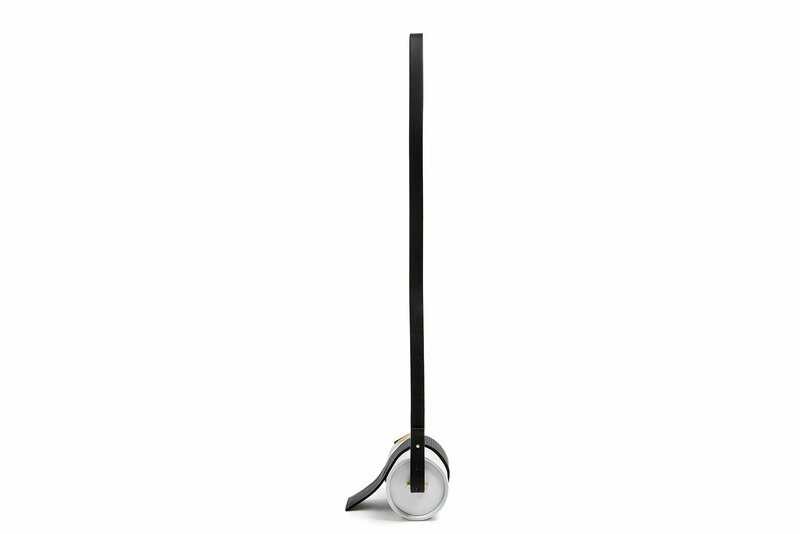 CYLINDRICAL BLACK AND WHITE SHOULDER BAG. 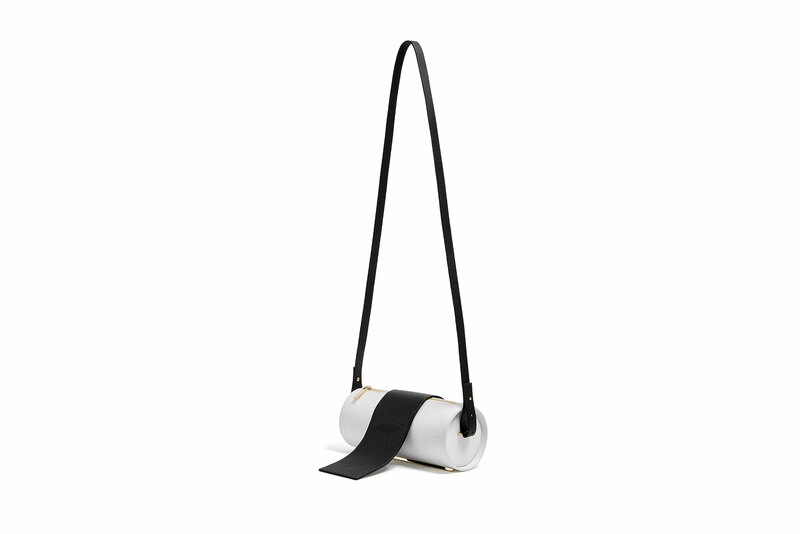 IT HAS AN ADJUSTABLE AND REMOVABLE SHOULDER STRAP AND A ZIPPER CLOSURE. LIMITED AND NUMBERED EDITION.